iAd Producer is a really interesting approach at getting people off of Flash for creating ads with open web technologies. We need something like this for Dojo users. 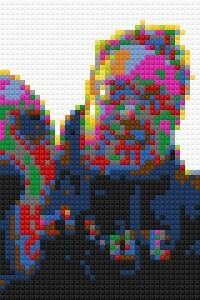 Lego Photo is a fun free app. Smashing apps has a recent article about 12 awesome yet free photography apps for the iPhone. A nice article from the people at Redfin appeared on TechCrunch on Hybrid Startups. I’ve often argued that people spend the most money on tangible things, and only pay for software when it’s super compelling or addictive. This article talks about how startups that create something that’s both digital and a physical product or service are perhaps easier to defend once they’re successful. Kris Zyp of SitePen has been working on many many projects, one of the latest being ComposeJS, perhaps the Dojo 2.0 replacement for today’s dojo.declare. I rarely agree with articles in the Economist, though I feel mildly guilty when I walk by their London office just a few blocks from my flat. But their article on the proliferation of choice ties in nicely with my “getting too meta” point in my random thoughts from 2010 for 2011 post. Basically, we need to make choice less difficult, without losing the power of many options for many types of people. I always like a good article about subtle ways to get people to do what you want them to do. Neuro menus and restaurant psychology discuss how restaurants do this with menus. So next time you’re in a place and wonder why you’re drawn to just a couple of dishes on the menu, ask yourself why and order something else. And no, don’t fall for the reverse-reverse psychology trap, or you’ll never decide what to eat. Build Apps not Businesses reminds me that not everything has to be immediately productive or directly useful. Always a good reminder for me when I’m working like a maniac. SimpleGeo’s tools are really impressive. We need to add support for this to Dojo and Dojo Mobile. awe.sm has really awesome urls. I really wanted to try out TweetPo.st, but new sign-ups are suspended for now, so perhaps I’ll try out awe.sm at some point. It’s great to see the Google Font Directory include the Ubuntu fonts. This, TypeKit, and a few others have really started to transform the fonts we use and see on the web, and in a much better way than our previous generation of hacks like sifr. I’m curious to see if Forrst can carve out a niche not currently served by Stack Overflow or Quora. Ok, I consider some types of medical research to be techy. Such as the recent study on uncertainty and romance. Per the study, the women in the study were least likely to like men who only like them an average amount, more likely to like a man if they’re told that the man likes them a lot, and most likely to like them if they’re told that the man either likes them an average amount or a lot (what they call an uncertain condition). This brings new meaning to the value of sending mixed signals. The EFF is always putting up the good fight, one of their latest points being on Traitorware, software or hardware that stores details about you or sends them off, without your consent.